Greenville, NC – (Business Wire) – January 30, 2019 – Union Bank (OTCQX: UBNC) reports earnings results for the quarter and twelve months ended December 31, 2018. Union Bank (the “Bank”) is pleased to report earnings results for the quarter and twelve months ended December 31, 2018. Unaudited net income for the twelve months ended December 31, 2018 was $6,737,000 or $1.12 per basic share, compared to $2,653,000, or $0.56 per basic share in the prior year. This represents a 154% increase in earnings for the comparable twelve-month periods. Return on average assets and return on average equity was 0.94% and 9.01%, respectively, for the twelve months ended December 31, 2018. The significant increase in earnings was related to the acquisition of Union Banc Corp. and its subsidiary Union Bank and Trust in July 2017. Considerable merger and conversion expenses were included in the 2017 financial results. The Bank’s 2018 earnings were favorably impacted by a full year of operations as a combined entity, coupled with efficiencies in operations gained as a larger institution. The 2017 year-to-date, and fourth quarter results, also included a one-time charge of $960,000 to income tax expense specifically related to tax reforms enacted in December 2017. Unaudited net income for the fourth quarter of 2018 was $1,737,000, or $0.29 per basic share, compared to $470,000, or $0.08 per basic share for the quarter ended December 31, 2017. Return on average assets and return on average equity was 0.92% and 9.07%, respectively, for the quarter ended December 31, 2018. Total assets as of December 31, 2018 were $745.2 million, compared to total assets of $702.5 million as of December 31, 2017. Total loans, net of reserves, were $504.6 million and deposits were $627.2 million, as of December 31, 2018 compared to net loan balances of $505.0 million, and deposits of $593.7 million as of December 31, 2017. As of December 31, 2018, shares of common stock issued and outstanding totaled 5,998,618. Rob Jones, President and Chief Executive Officer stated, “We are pleased to present this positive earnings report for the quarter and fiscal year end. The Bank experienced excellent loan growth late in the fourth quarter and the loan pipeline is solid as we enter into 2019. As was reported last quarter, Hurricane Florence, although overwhelming for so many in our market area, has had very little impact on the overall credit quality of our loan portfolio collateral. Our loan quality metrics remain outstanding. The Bank intends to maintain lending discipline as we work towards a natural contraction of the economic cycle. Union Bank is headquartered in Greenville, North Carolina and operates 15 branches located in 11 counties throughout Eastern and Central North Carolina. Union Bank stock is traded on the OTCQX under the symbol UBNC. Bank’s management uses these non-GAAP financial measures in their analysis of the Bank’s performance. These measures typically adjust GAAP performance measures to exclude the effects of transactions that are infrequent in nature. 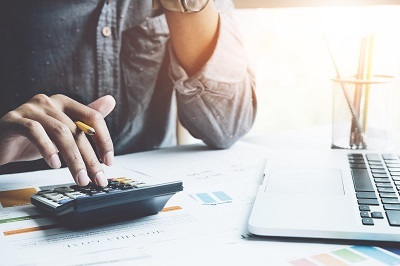 Management believes presentations of these non-GAAP financial measures provide useful supplemental information that is essential to a proper understanding of the operating results of the Bank’s core businesses.